Whether you’re single and looking for a reason to believe in love or a parent watching your own child fall in love, Real-Life Romance by Rhonda Stoppe will inspire you to believe in life-long love. 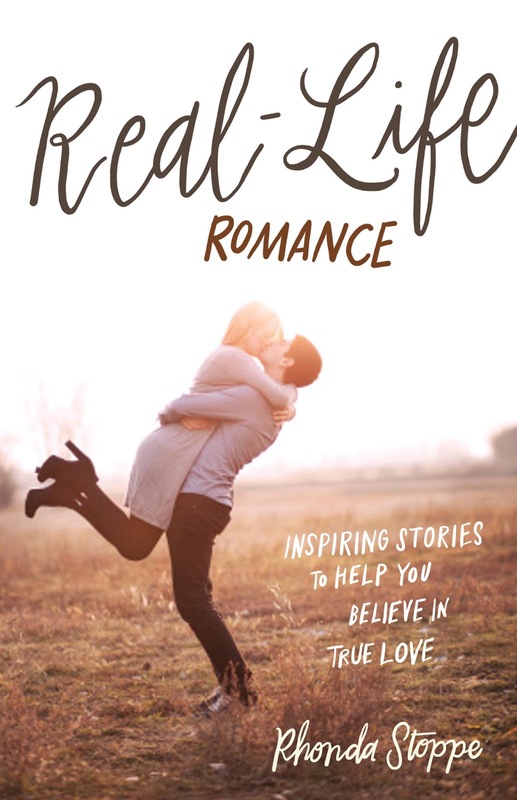 This collection of beautiful, real-life accounts will bring laughter and tears as you enjoy each story of ordinary people who found extraordinary love. Don't let the world define romance for you! See how God is at work in the hearts of His people—knitting together hearts in a love that forever endures. RSVP today and spread the word—tell your friends about the giveaway and Facebook Live party via social media and increase your chances of winning. Hope to see you on the 6th! Rhonda Stoppe is the No Regrets Woman. With more than 20 years of experience as a pastor’s wife, mom, mentor, author, and speaker, Rhonda uses humor and honest communication to help women build No Regrets Lives. She and her husband live their real-life romance in northern California, and have four grown children and eight grandchildren. Find out more about Rhonda at http://www.rhondastoppe.com.